Weblio runs the largest online dictionary service in Japan with 45 million visitors every month. They also have several other online subsides for translations, English lessons, internship recruitment, study abroad assistance, and more. They adapted Backlog to improve information sharing and track progress across all their projects. Weblio’s project management system of 10 years was falling short. It was difficult for new employees to learn, especially if they didn’t have an engineering background. They needed a tool that not only provided development features but also had an easy-to-use interface. Backlog proved to be the perfect match. Weblio hit a roadblock in their employee on boarding—new hires were struggling to learn the tool they used to manage projects. Non-engineers had a particularly difficult time becoming proficient with the software. The team also faced challenges with file sharing and keeping track of who was responsible for projects. There was an expanding information gap. Backlog makes it easy to tell who’s responsible for what within each project. Many project management tools make it difficult to understand who’s involved in projects, but Backlog makes it simple. 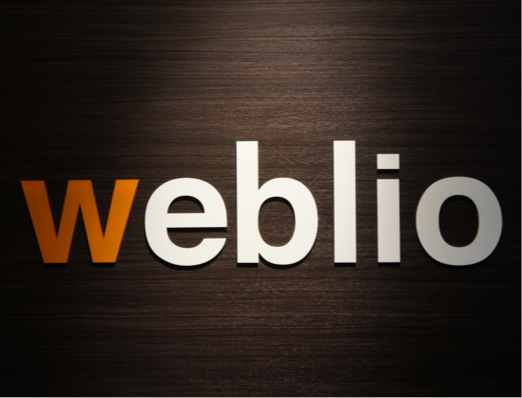 Branch Manager, Yukio Ota, introduced Backlog to Weblio’s Fukuoka office after using it at a previous company. He felt Backlog was the perfect replace to their existing pm software: "It [Backlog] was much better suited for non-engineers, with its user-friendly icons and helpful features like the Gantt chart." Weblio began using Backlog for in-house projects and task management. They were able to collaborate and coordinate work for web development projects across offices, all while tracking progress each step of the way. It became easier to identify everyone involved in projects and see who was responsible for specific tasks. Backlog also made file sharing much more efficient. Ota was relying on email to share files, which often lead to information delays. With Backlog, he was able to upload files directly to issues, making it easy for teammates to quickly locate the files they need. Backlog improved Weblio’s file sharing, collaboration, and task management. The success of Backlog at their Fukuoka branch sparked it to be implemented of it as the project management tool in all their office locations.